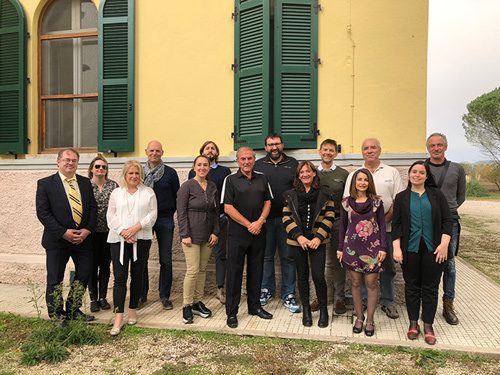 All the SEED Project partners gathered at Umbraflor in the Umbria Region on 28-30 October 2018 to kickoff the new Key Action 3 VET (vocational education) Forward Looking project funded by the European Commission. The project partners dealt with many different aspects of the project, especally considering the issues concerning the digital transformation of the rural economy. A presentation concerning green development solutions was made by Fulvio Ananasso, President of Stati Generali dell’Innovazione, an associated partner to the project. The SEED project aims to i) increase the employability of young people, by supporting the development of a highly skilled, qualified and mobile workforce, also thanks to transnational placement; ii) support the development of a joint VET qualification at the EU level; and iii) promote work-based learning, supported by a mobility component. Each of the project outcomes was examined and action plans developed, including work placements and international mobility supported by the grant.